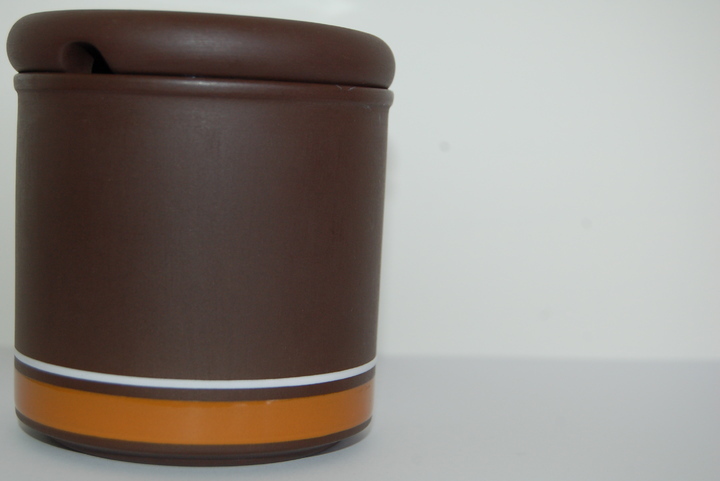 Hornsea Lancaster Vitramic Contour sugar / preserve pot with orange banding and cut out for spoon in the lid's rim. Excellent condition and fully marked on the base. 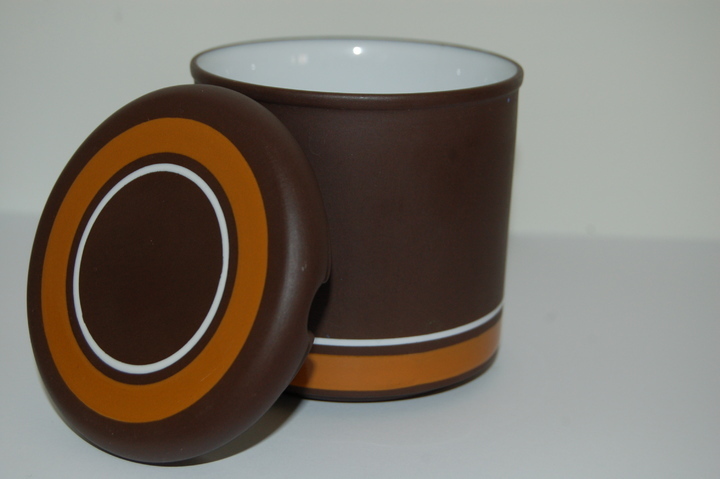 Hornsea Pottery's Lancaster Vitramic “Contrast” won the British Design Council awards for design in the 1970s. 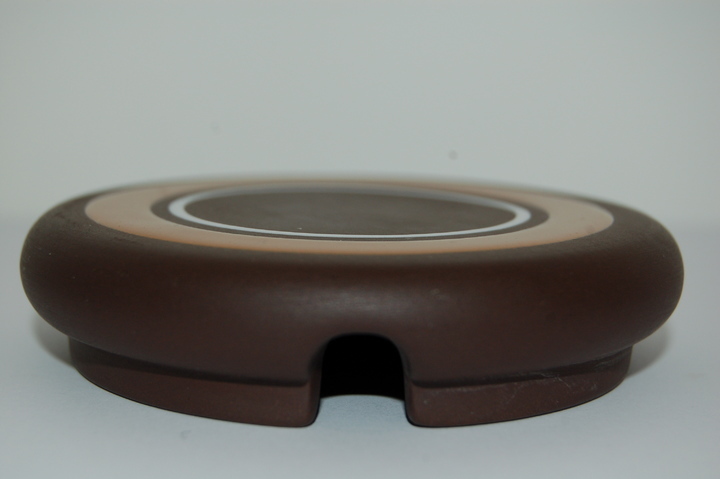 The range features a chocolate velvety matt brown glaze with either a black or orange gloss band and bright white interior. The forms are simple and elegant with crisp, elegant lines and forms. In 1972, after years of compromise by adapting and adding to their first factory, Hornsea Pottery needed to expand due to its success and a second site was found, officially opening in 1976. The first three ranges produced at the Lancaster factory received Design Council Awards and with them Hornsea Pottery enhanced its worldwide reputation. 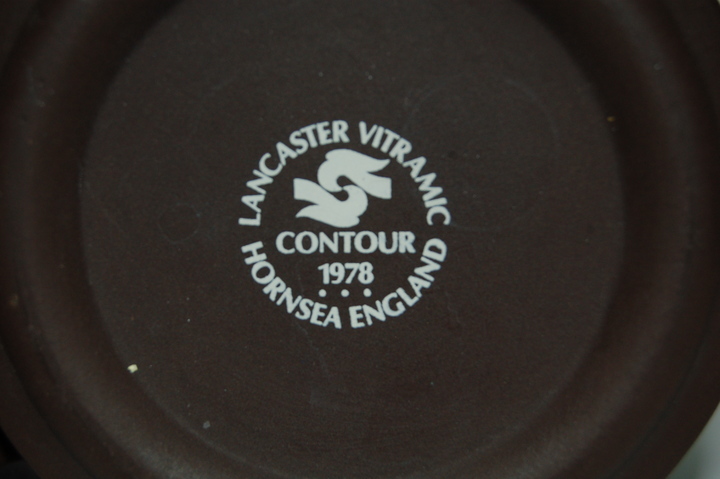 In 1974 a collaboration between Lord David Queensberry and Martin Hunt produced the successful “Lancaster Vitramic” range of tableware designs. 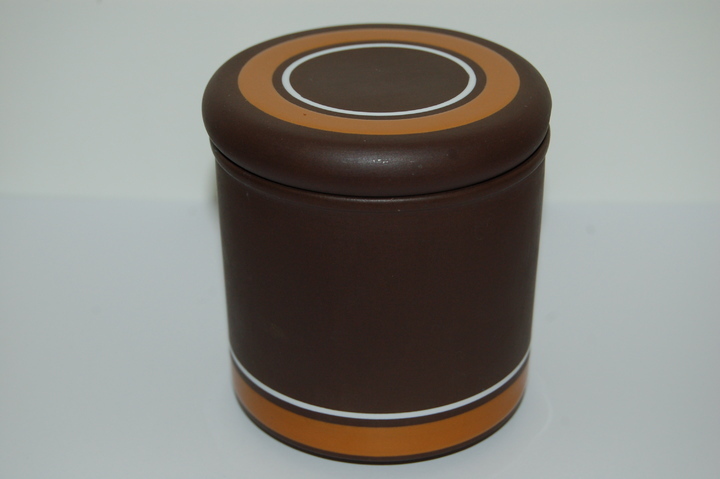 Starting with Contrast, the design was initially trialled at the Hornsea site, then produced at the Lancaster site, followed by the equally successful variations Concept, Ebony, Impact, Palatine and Cinnamon (produced exclusively for Harrods).